OSSSC Excise Constable Recruitment 2018 Notification download link is dispatched here. See the Odisha Sub-Ordinate Staff Selection Commission OSSSC Vacancy 2018 details. Interested candidates have to, first of all, ensure the eligibility criteria & then start applying for OSSSC Excise Constable Vacancy 2018 on or before the due date i.e, 12/11/2018. 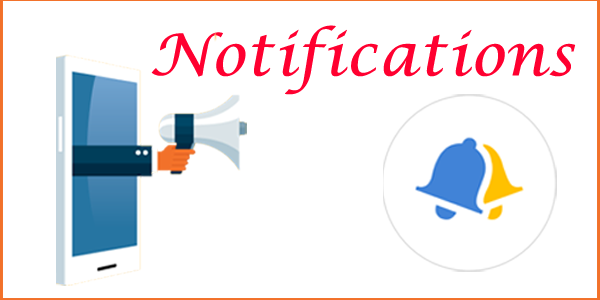 Furthermore details regarding OSSSC Excise Police Constable Recruitment 2018 Notification like No. of Vacancies, Age Limit, Qualification, Selection Process, Salary, Important Dates, Links, etc. Here is a good news for those candidates who are looking for Govt Jobs in Odisha. Recently, Odisha Sub-Ordinate Staff Selection Commission has invited OSSSC Recruitment 2018 application forms for the post of Excise Constable. The officials have also invited the OSSSC Excise Constable Recruitment 2018 Application forms through online mode. So, All the Interested &Eligible candidates can apply for OSSSC Excise Constable Posts 2018 through online mode the prescribed format on or before 12th November 2018. Candidates possessing age limit between 21 to 32 years and have passed Middle School Examination/ Matriculation or equivalent are eligible to apply for OSSSC Excise Constable Vacancy 2018. Get further info about OSSSC Excise Constable Jobs 2018 Notification like No. of Vacancies, Age Limit, Qualification, Selection Criteria, Salary, Important Dates, Links, etc. In order to apply for OSSSC Vacancies 2018, candidates have to possess the age limit & educational qualification as follows. Passed Middle school examination with Odia as a language subject or Passed Matriculation or equivalent examination with Odia as a medium of examination in non-language subject or passed in Odia as language subject in the final examination of Class VII or above or passed a test in Odia in Middle English School Standard conducted by School & Mass Education Department. In addition to the eligibility criteria, get further details of OSSSC Excise Constable Notification 2018 like Application Fee, Selection Process, Salary, Important Dates, Links, etc. SC/ ST/ PWD/ Ex-Servicemen: No Fee. Rs. 5, 200 – 20, 200 + GP of Rs. 1, 800 Per month. The OSSSC Excise Constable Recruitment 2018 Apply Online Link will be available active from 12th Oct 2018 upto 12th Nov 2018 on its official portal i.e, osssc.gov.in. Check here the step by step procedure to fill OSSSC Excise Constable Application Form 2018. Now, search for the relevant tab “OSSSC Police Excise Constable Recruitment 2018” on the homepage. Now Click on it & go through the details mentioned in the official OSSSC Notification 2018 Pdf. Ensure the eligibility criteria for OSSSC Jobs 2018. If eligible, then click on “OSSSC Recruitment 2018 Application Form” link. Fill the OSSSC Excise Constable Application form carefully with all the correct details. Now Pay your Application Fee & click on “Submit” Button. Finally, take a Hard Copy of the OSSSC Excise Constable Recruitment 2018 Application form for future use. We have shared the full details of Odisha Sub-Ordinate Staff Selection Commission Recruitment 2018 for the convenience purpose only. In case, if you have any queries, refer the official OSSSC Notification 2018 Pdf attached below. Keep visiting our page Employment Alert for more job opportunites.